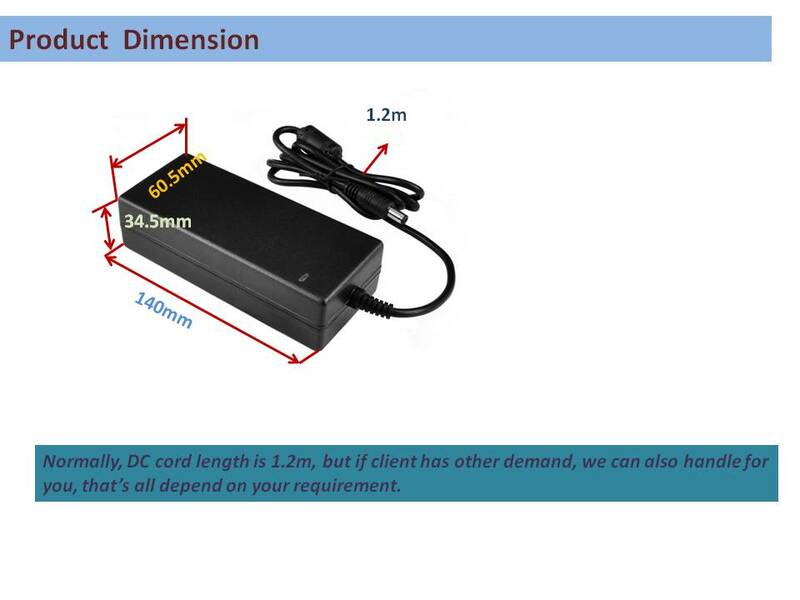 Power adapter is a kind of voltage transform and stabilize equipment. 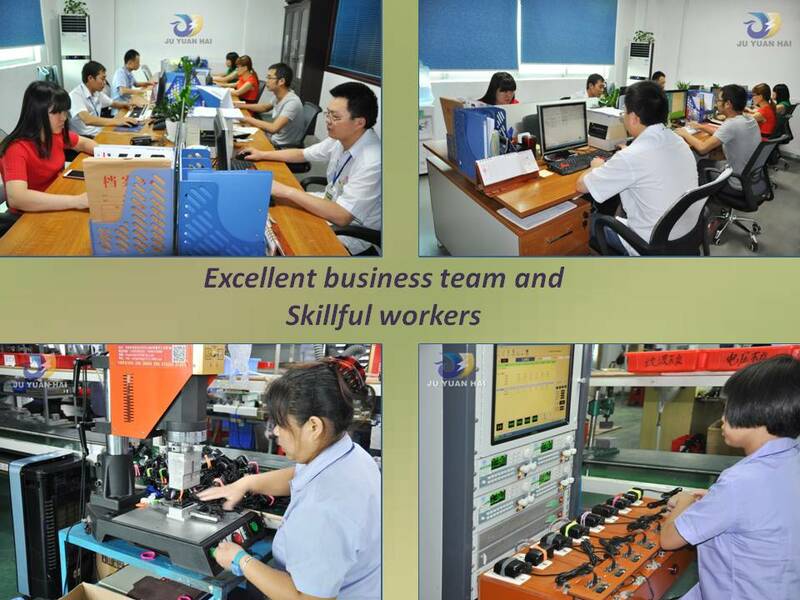 Generally, it is made up by shell, transformer, inductance, capacitance, controller IC, PCB, etc. Working principle is transform AC to DC, according to working method, it can be divided into wall mount and desk-top. 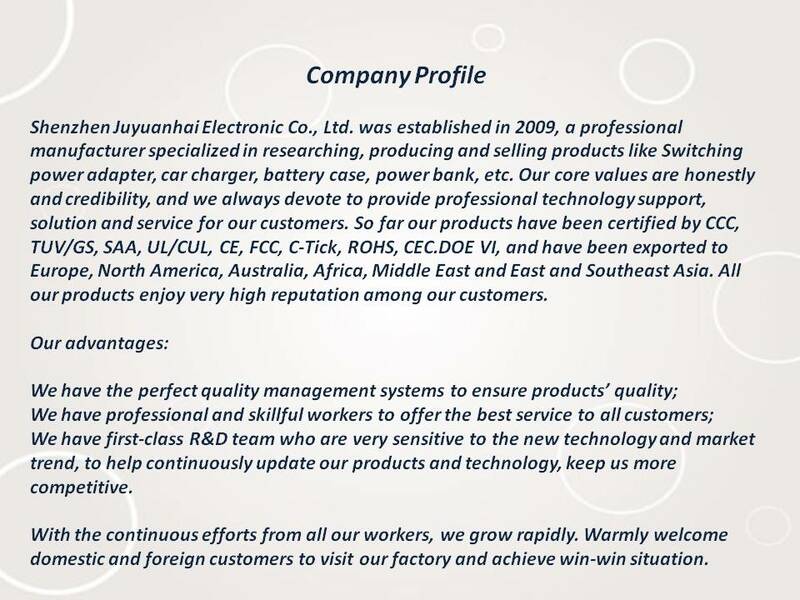 Widely equipped with security camera, set-top box, router, LED light strips, electric massager, various electric products. Worldwide input voltage is 100Vac-240Vac, 22V4.32A output, 64W, JYH power adapter provide constant and stable power for your equipments, SCP/OLP/OVP/OCP, guarantee you and your equipments from unnecessary accidents. 1) 2.5*0.7(outside diameter*inside diameter, similarly hereinafter), for short DC2507, mostly used for small size electronic products, such as panel computer that is due to volume limitations, at present, famous brand panel computer almost adopt MicroUSB connectors to charge. 2)3.5*1.35(DC35135): mostly used for set-top box, USB HUB external Power Supply, IP camera(AKA webcam, the industry calls it a head machine), LED desk lamp. 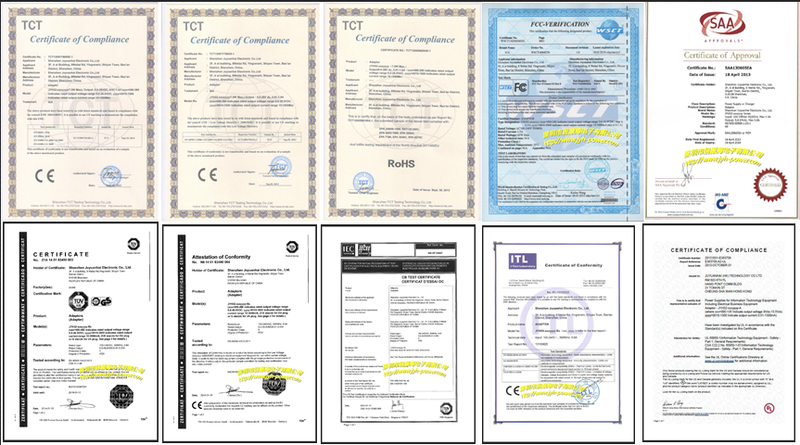 3)4.0*1.7(DC4017): mostly used for mobile DVD, EVD, PSP, a part of set-top box. 4)5.5*2.1(DC5521): current mostly used is DC round connector. Security monitor, a part of set-top box, LED desk lamp, digital home appliance etc. 5) 5.5*2.5(DC5525): Mainly used for equipments that power is a little bit bigger. Some certain laptop computer, electronic bicycle etc. This kind connector can be also uesd in DC5521 female socket. 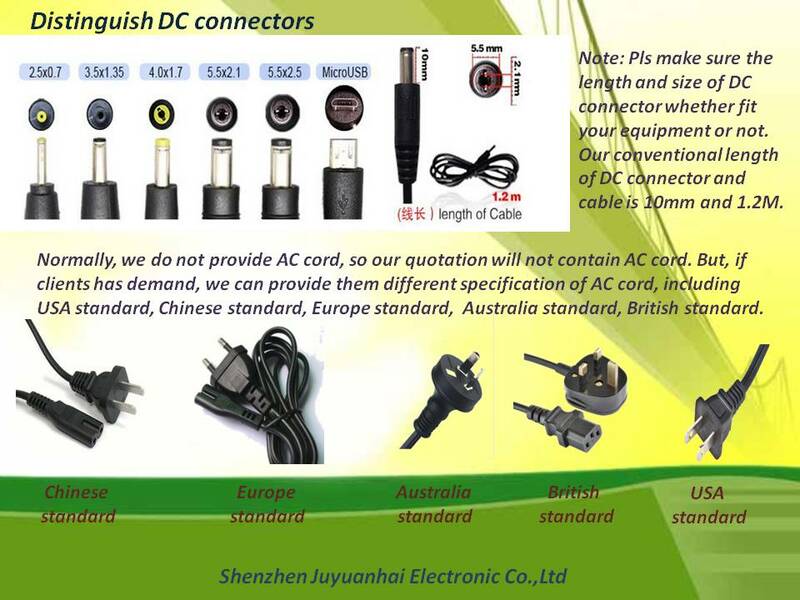 Due to different manufacturers may produce same kind equipment, but it cause the DC connector and female plug in the equipment have difference, pls check what kind of DC connector you need before you decide to buy it! 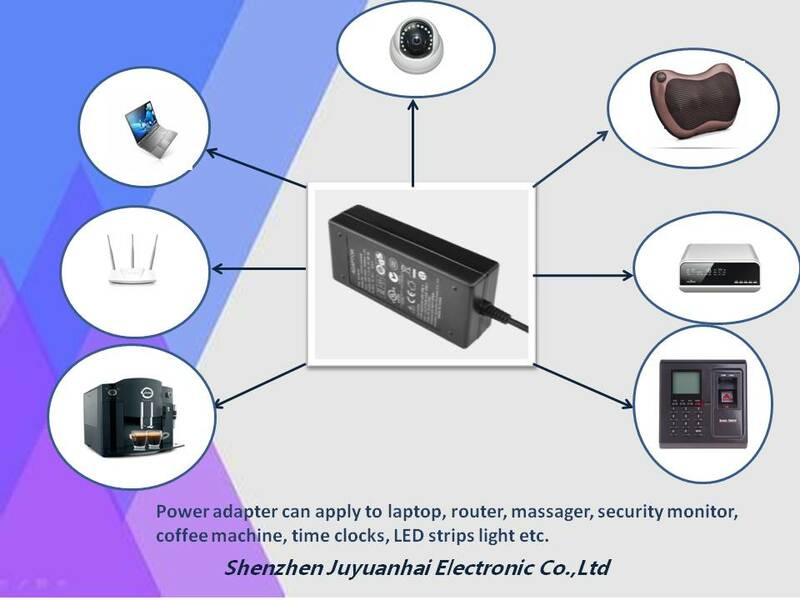 Except above products, Desktop Power Adapter is widely used in ITE products, office working series products, consummer electronic products, industry use products, household products etc. 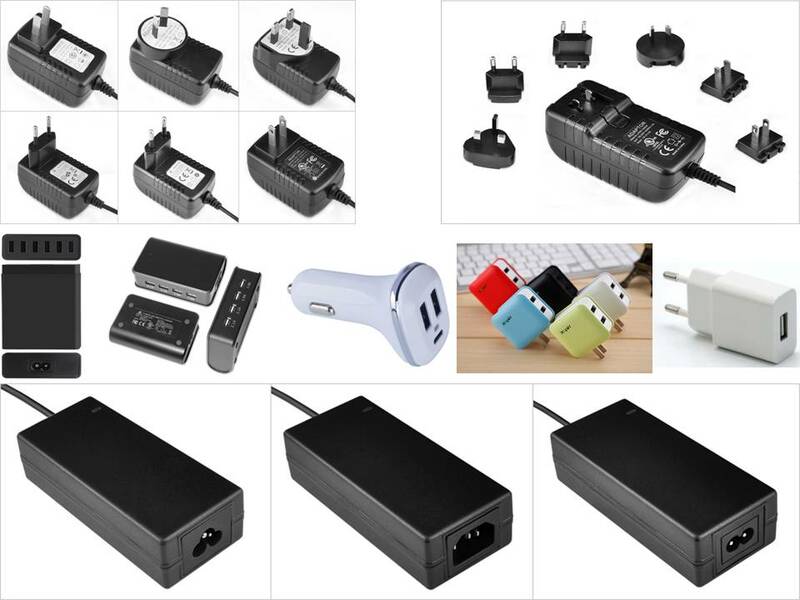 Looking for ideal High Quality 22V 4.32A Power Adapter Manufacturer & supplier ? We have a wide selection at great prices to help you get creative. 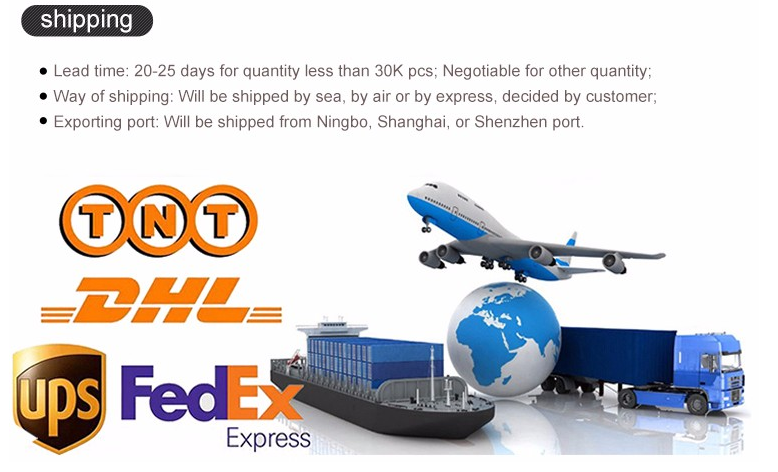 All the DC 22V 4.32A Power Adapter are quality guaranteed. 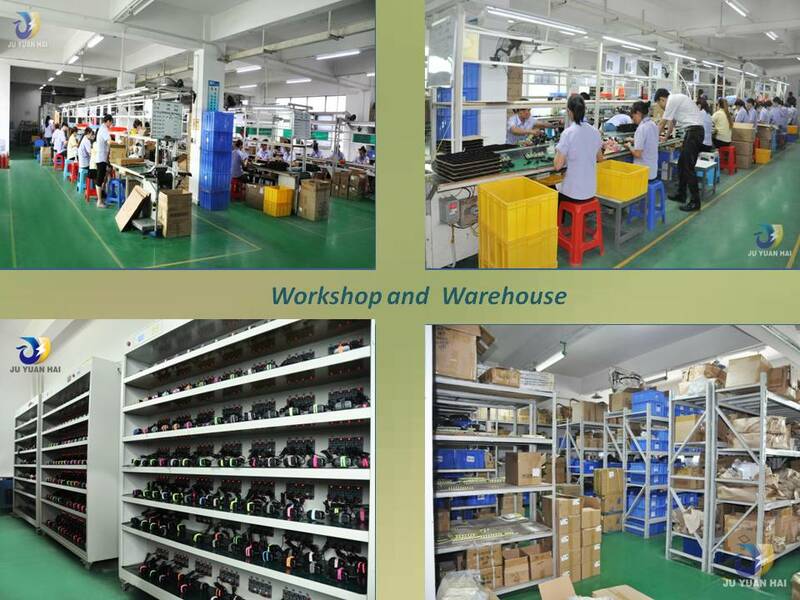 We are China Origin Factory of 95W High Quality Power Adapter. If you have any question, please feel free to contact us.